On November 20, 1837, in the German town of Singen, Johanna Reitze, who is 32 years old and unmarried, gave birth to a baby boy named Felix Reitze. Felix's father is unknown. By the time little Felix is three years old, his mother marries Kaspar Greutter (Jr) on February 15, 1841. While there is no direct evidence that Kaspar Greutter (Jr) is Felix's natural father, the consensus is that he probably was. 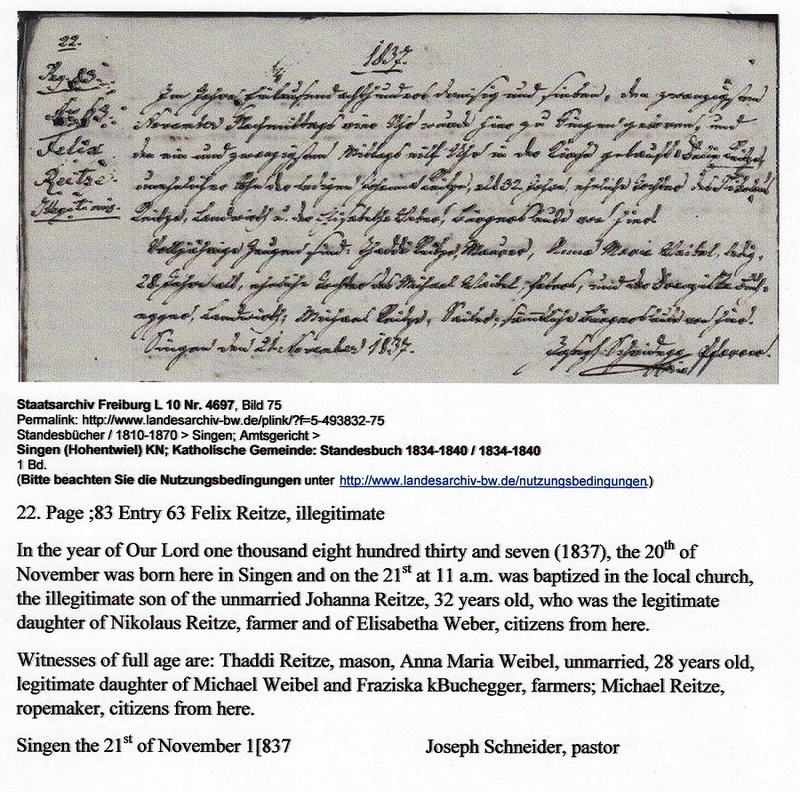 As the following document implies, Kaspar Greutter (Jr) acknowledges Felix as his son. Felix Reitze becomes Felix Greutter. 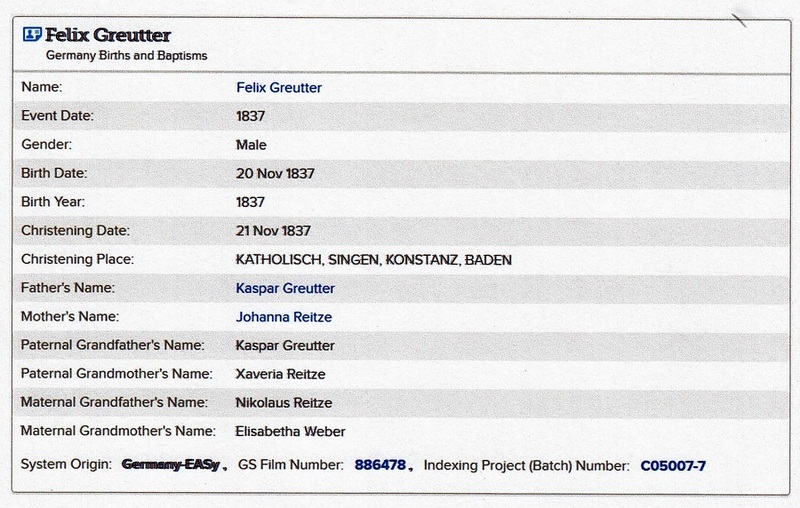 By the time Felix arrives in America, his surname changes from Greutter to Greuder to Greuter.